Dr. Michelle Longmire is dedicated to advancing medicine with game-changing innovation in science and technology. Michelle's love of innovation has been cultivated in some of the most innovative communities in the world: Los Alamos National Laboratories, the National Institutes of Health, and, most recently, Stanford University. From bench research to health technology, Michelle is working to transform breakthroughs in science and technology into tangible solutions that improve health. She has helped to develop novel pathogen detection systems, image-guided surgical technologies to improve the diagnosis and treatment of ovarian cancer, novel infrared-light activated nanoprobes that specifically target cancer cells, and health technologies to bring big-data insights to patient care. 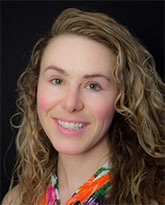 Michelle has published over 15 peer-reviews articles and was awarded the New England Journal of Medicine Gold Scholar Award for her writing on the application of social networks to medicine. She is on a mission to leverage big data to improve the treatment of human disease.